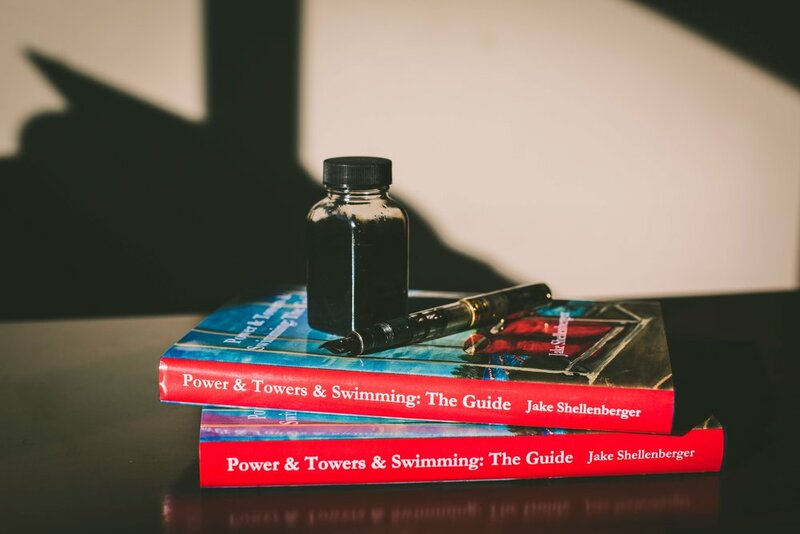 Power & Towers & Swimming: The Guide is now available! The first print run is here, and the pre-orders have all shipped! To those who had the good faith to pre-order, thank you! Thank you also for your patience, as a few last minute delays caused me to miss my launch goal by about two weeks. I can assure you the wait will be worth it! The final version is 244 pages total. 56 illustrations are included. The work contains over 100 sample sets ranging from Pure Power with heavy buckets filled to the brink to drilling with no water whatsoever. Chapters include Pure Power, Power Endurance, Drilling, Kicking, PostActivation Potentiation, Other Forms of Power and Resistance, Tips, Tricks, & Innovations, and Strength Training for Sprint Swimming, among others. And the cover artwork. The cover artwork is stunning, simply beautiful for lack of a better term. 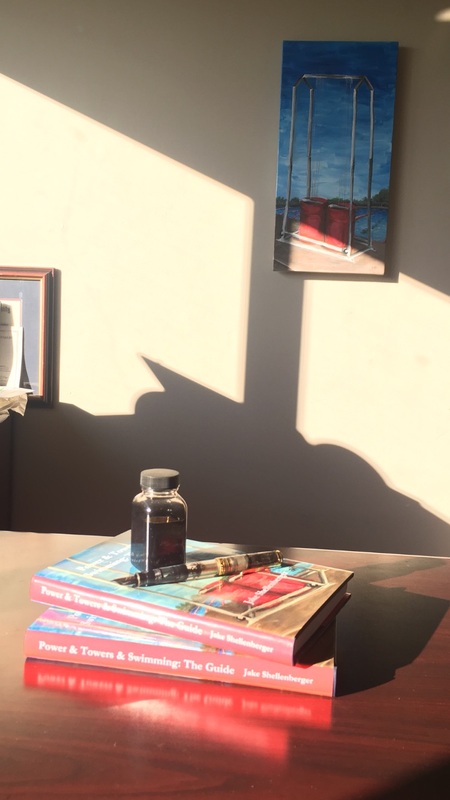 An Alumna of our program, Meghan Babcock, painted the picture of the Power Tower on canvas during her junior year here at LU and gave it to me as a Christmas present. I cherish it dearly, and when I contemplated the cover design for a book about power training for swimming and Power Towers specifically, there was no other option. The pictures below, while stunning in their own right, do not do the actual cover justice. It is gorgeous, easily the best-looking book cover I have ever seen. And while that might seem biased as it is my book, I would surely feel the same if it were the same cover art on a different book by a different author. It is beautiful. Stunning. So good is the cover design that I chose not to plaster the back with the same old boring testimonials that authors and publishers use in an attempt push sales. If a lack of testimonials on the back cover causes me to lack "credibility" in the profession and causes me to lose sales...so be it. The cover is simply too good to be ruined by a poor attempt at marketing. In my humble opinion, if you are a coach in an objective sport such as swimming, and you need testimonials to sell a book...you need to get back to the X's and O's of coaching and prove yourself on the pool deck. Earn your testimonials by coaching fast athletes I say!